Where Do English/CW Majors Find Jobs? 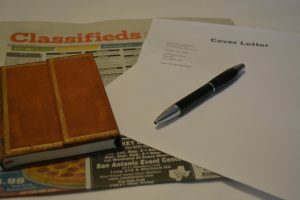 Here are links to some of the specialized job boards where English and Creative Writing majors can find openings particularly well suited to their skills. There’s not an industry in the world that doesn’t need people who can communicate effectively and solve problems with words, so English and CW majors are NOT limited to this list of resources, but these are good starting places for a targeted job search. The I-Link widget over there on the right-hand side of this site’s home page: a continuously updated list of recent additions to I-Link of interest to English department majors. The National Association of Independent Schools posts openings in private schools. Higheredjobs.com/admin offers openings (many of them entry-level) in higher education administration. Tech customer support is a well-paid growth industry in which English/CW majors can thrive. This entry was posted in job search by KW. Bookmark the permalink.